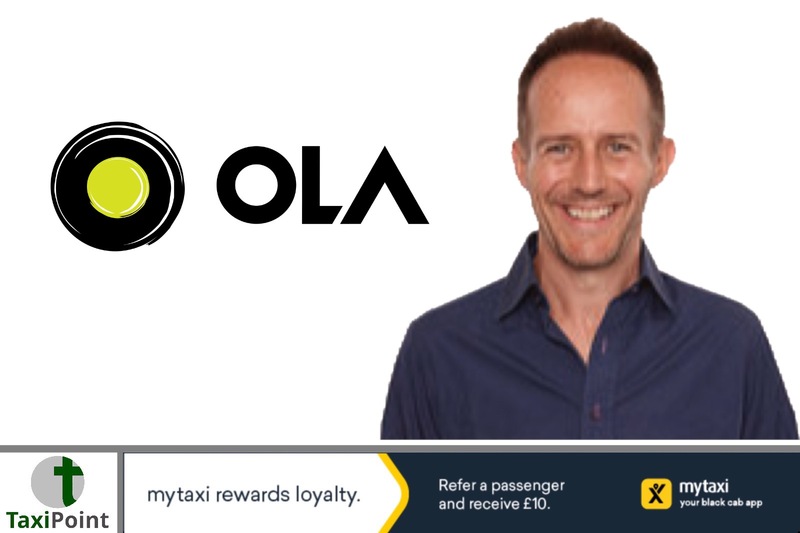 Ola, one of the world’s largest ride-hailing platforms, has appointed Ben Legg as Managing Director of its recently announced UK operations. Ben will lead and develop the senior leadership team, drive strategy and operations and establish a UK nationwide presence by the end of 2018.Ola recently announced it has obtained licences to operate in Greater Manchester and South Wales, with the launch of operations in South Wales in the coming weeks.Ben joins Ola from AdParlor, the New York-based global marketing technology company, where he was CEO for two years. Prior to this, he was Group CEO of Adknowledge, the digital advertising technology firm, between 2011 and 2016. He has also worked as Chief Operating Officer for Google Europe, as well as previously holding senior roles at Coca-Cola and McKinsey.Bhavish Aggarwal, Co-Founder & CEO of Ola, said: “We’re delighted to have a talented leader like Ben at the helm as we start our operations in the UK. Ben has a diverse set of experiences that span strategy and operations and is best placed to drive the development of the business in one of the world’s most evolved transportation markets. Ola is focused on building the future of mobility and Ben will help us to achieve this mission in the UK”.Before embarking on a corporate career, Ben was a Captain in the British Army’s Royal Engineers for 10 years, which saw him lead various engineering organisations across the world.Ben Legg, Managing Director of Ola UK, said: “I’m excited to be joining Ola as it launches in the UK and brings its compelling ride-hailing services to passengers at their fingertips. Ola is committed to working in partnership with policymakers and regulators in all local markets in the UK, to help ensure that our goals are aligned with theirs.“As we have shown elsewhere, Ola is focused on ensuring that its services bring benefits to customers and drivers alike. I, for one, don’t own a car and strongly believe that through innovative services like Ola working in conjunction with local authorities we can help to reduce traffic congestion and pollution, improve mobility, and eventually redesign our cities, towns and public spaces for the better.” Ola’s entry into the UK follows its successful launch in Australia in February 2018, where it now operates in seven major cities. Over 40,000 drivers across Australia have registered since its launch in February, completing millions of rides. Ola now conducts one billion rides each year globally, with more than a million drivers and 125 million customers in over 110 cities.